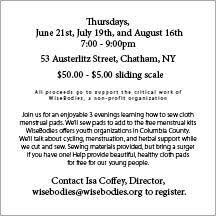 WiseBodies offers youth organizations in Columbia County. for free for our young people. 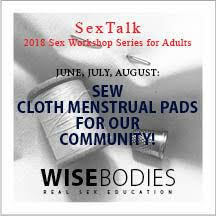 Adult Series (Part II): Sew Cloth Menstrual Pads for Our Community!